A package arrived on our porch the other day. It was the best thing that happened this week and quite possibly ever, in Wade's opinion. He didn't care what was in the package. No, all he cared about was the box. So cliche, so timeless, so awesome. 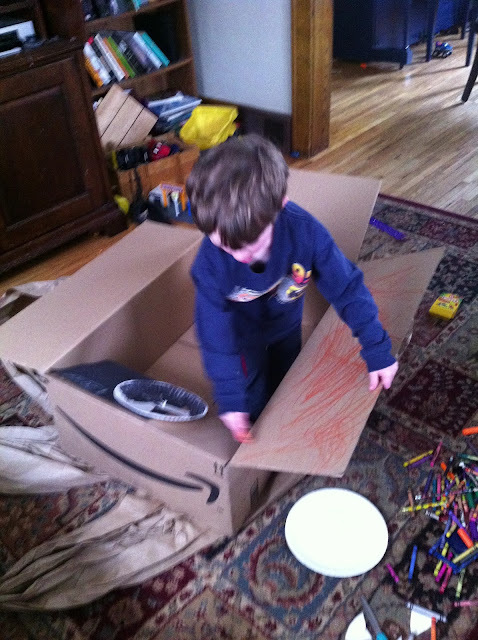 The box was a spaceship, a race car, a jet, a clubhouse. 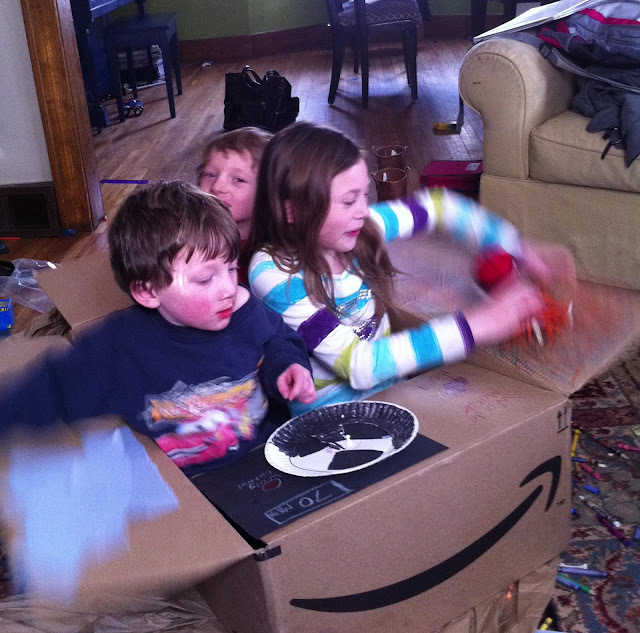 The box was decorated, adorned, colored and loved. And not just by Wade, but the big kids played with the box when they got home from school. Wade even talked Tim into getting in on the fun. In a world full of bad news and overwhelming cynicism, the box, renewed my faith in simple goodness, that I know for sure (this week). We are ready for spring. Really ready. So ready, that when the sun came out this week and the temperature hit 35 degrees, we broke out the bubbles and went outside. There's nothing wrong with my dream of having a vlog go viral. Check it out (um, and share if you want) and help me get my ode to Prince all over the Internet. A weeknight date sounds like such a good idea, but it might just be a little too wild and crazy for me. Tim and I were tired the rest of the week. Whomp. Whomp. 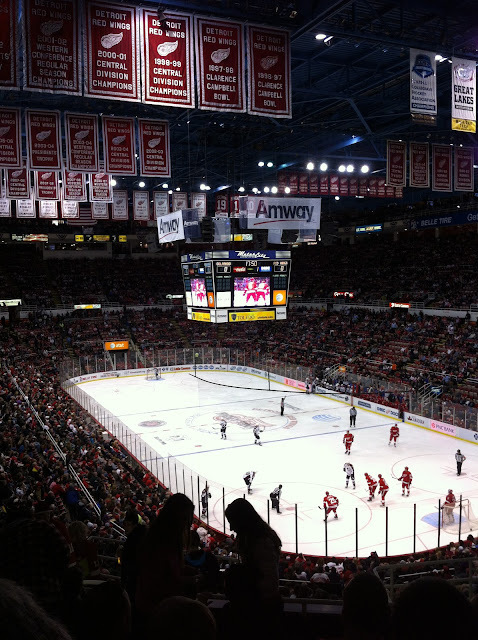 I love hockey, but we were so tired we left the game early and I don't even know the final score. Finding my kids lost in books (or books on the iPad) never loses any awesomeness. This kid is so cute. I love the latest Kid President video from SoulPancake. Watch, you should totally submit a video. What is your message to the world?